Set on a secluded bluff overlooking Lake Michigan in Mequon, Wisconsin, this home seamlessly interacts with its environs. Remarkable for its design sense and stunning views, the owners’ love for natural materials is evident throughout. This interior design is a collaboration between Peabody’s designer Jennifer Schuppie and the home owners. Their mission – bring the outdoors in. 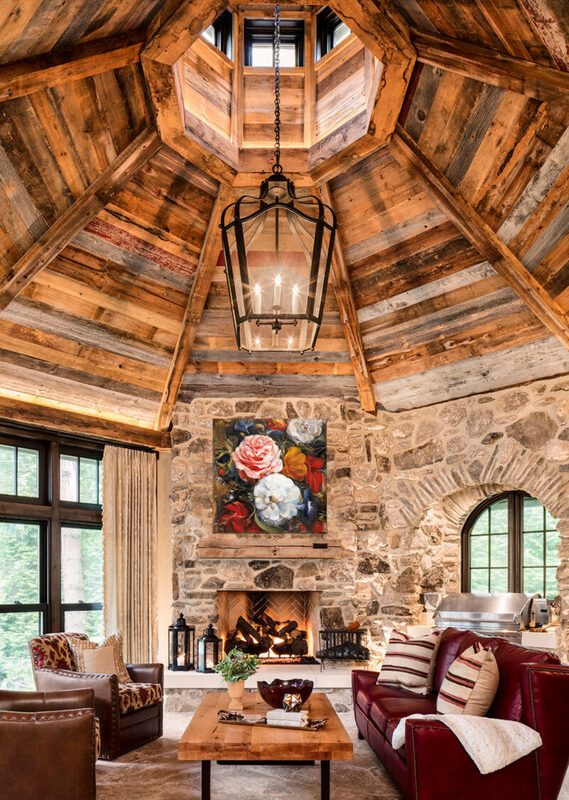 The result: Rich textures of stone and wood details; rustic and natural elements are reflected in the furnishings with hints of their favorite leathers, everywhere from accent rugs to sofas. It’s all brought together by a palette of rich earth-tones, which also acts as the perfect backdrop for highlighting the contemporary fixtures and colorful works of art. Enjoy the beauty of nature in this tranquil lake side retreat.